The address, email, and phone fields allow you to mark a specific person's data as private. For example, Joe Smith might not want his mobile phone visible in the member directory and so he (or a church administrator) could mark the field as private. Navigate to a person's profile. Click the gray header over the section containing an address, email, or phone number. Below the field select "Show More Options." Check the "Make Private Data" checkbox1 and save your changes. 1 If you don't see this checkbox, you most likely don't have the "People > Edit > Private Data" permission. Users who have the "People > View > Private Data" permission will be able to view private data. Users who do not have the "People > View > Private Data" permission will not be able to view private data. When administrative users are generating a printed directory, an option exists to hide private data from the printed directory. Cell numbers that are listed as "private" will still be printed on a name tag that has the "parent cell phone number" in one of the custom fields. If the desire is to remove the phone number completely, including from the name tag, the Breeze Best Practice would be to create a custom profile field for completely hidden cell numbers and move that person's cell number into that field. How can I create a custom profile field for completely hidden cell numbers, so only people with "Private Data" permission can view it? You have to first create a profile field and name it something similar to "Private Data" since there is already a profile field named that. Navigate to "More > Profile Fields." Drag items from the left into the center area within the section you desire. Rename the field to the name you desire. Once created, you would then move that person's cell number into that new field. Next you would need to delete the number in the cell number field. 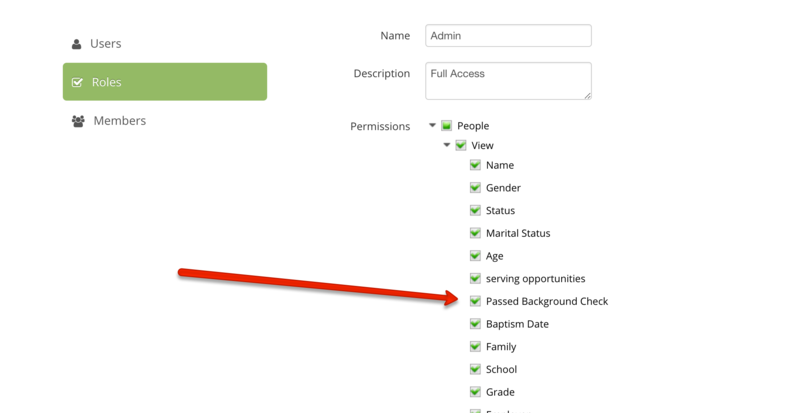 After your changes have been made and saved, you now have a profile field for private data that can be hidden. Is it possible to hide a person’s entire profile? We have members of a recovery group that aren’t members of the church, and don’t want to be identified, but we would like to keep include in attendance. Hey @lukkydog - you could create a tag and put anyone that you don't want the general users to see in that tag. Then you can hide that tag from any users/roles that you'd like by going to More > Users and Roles > Roles and then editing the roles that should hide those people. Under People you'll see "Can Only Access Certain People > People Not in Tags" - then choose the tag that you've created. Now those profiles will be hidden from general users, but people who have roles that can still see that tag will be able to check them in for attendance. Is there a way to do a bulk update, setting some information private on people's profile pages? Hey @RevJoeUUCSS - at this time changing someone's information to private has to be done from within their profile. We hope to have the ability to turn information private in bulk in the future, but at this point it has to be done one profile at a time. Apologies for that. We would like to put in a filed something like "Passed Background Check" - a yes or no type thing, but we want to make it so only two of our directors can see it. Is this possible? I can't see a way to make that type of field private. Yes, this is possible. What you would need to do is make sure that they are the only ones that have permissions to see that particular field. They would need a role that has that field selected. Anyone else with a role, you would just simply uncheck that field so that they could not see it. People<View<Passed Background Check. In my Admin role, you can see that it is selected which means that I would have permissions to view this.